Black granite, engraved text. Dimensions say H 15 x W 40cm, to be confirmed. 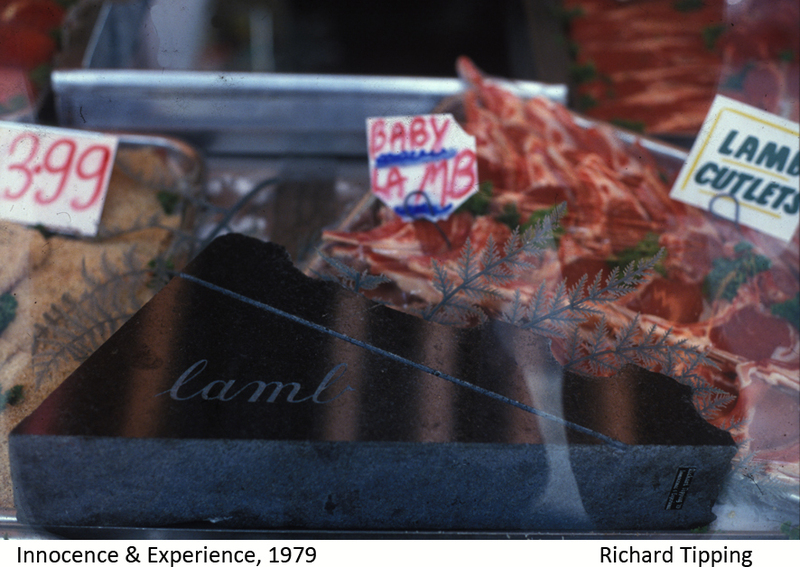 Photographed in a butcher's window, 1980. Private collection, Sydney. This is the only record I have of this sculpture. Sold at the solo exhibition Airpoet at Robin Gibson Gallery, Sydney, 1980. The human as tiger? We breed our prey. Did he who made the Lamb make thee?"